Floridians understand the importance of attic insulation, and when Tampa, Florida, homeowners start seeing increased energy consumption and uncomfortable home temperatures, they call 31-W Insulation. These are signs that insulation may have settled or degraded, leaving surface areas in the attic exposed and resulting in air leaks that allow expensive, conditioned air to escape and outside air to enter. When this happens, you may find that your HVAC unit is working overtime to keep your home at a comfortable temperature, which could lead to increased energy consumption and sky-rocketing utility bills. Fortunately, 31-W offers attic insulation services that will solve these problems, helping you save money and enjoy a more comfortable home environment. Fiberglass batts are made of recycled glass or sand, offering exceptional protection at a very affordable price. 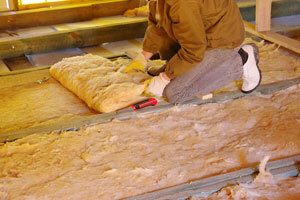 This tried-and-true insulation has been used by countless homeowners since it was introduced in 1938. While it’s highly affordable, it will eventually degrade and will need to be replaced. Spray foam insulation is an option that is manufactured out of polyurethane and applied by spraying onto the surfaces of your attic. Because it’s a foam, it can access and seal tiny nooks and crannies, resulting in maximum protection from air leaks. While this foam insulation requires a greater investment, it will never degrade or settle, and will never require replacing. To learn more about attic insulation products available for your home in Tampa, FL, and surrounding communities in the Bay area, contact 31-W Insulation today.